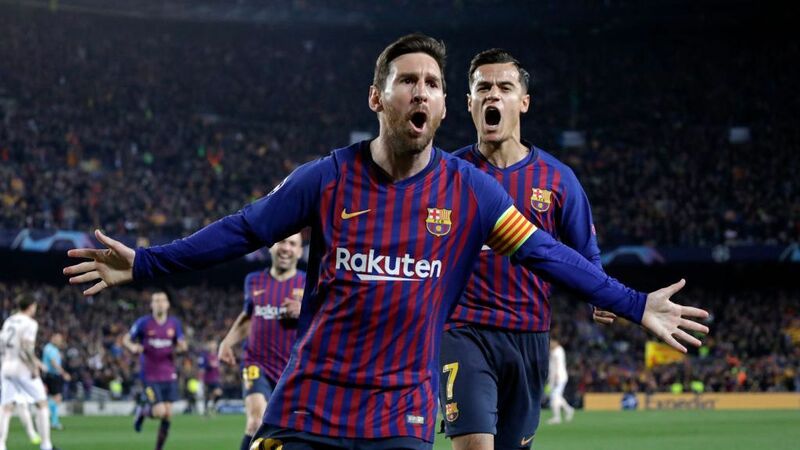 BARCELONA, Spain -- Lionel Messi scored twice in four first-half minutes as Barcelona beat Manchester United 3-0 at Camp Nou to make the Champions League semifinals on Tuesday. 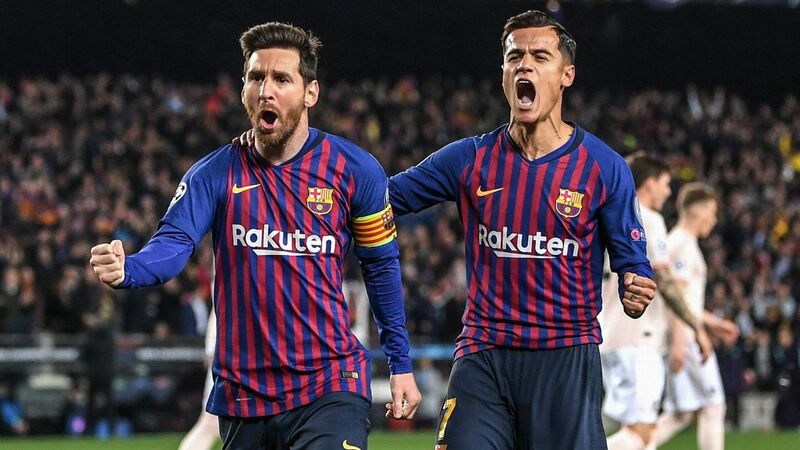 Philippe Coutinho added a stunning third in the second half as Barca eased past the Premier League side 4-0 on aggregate to keep their treble dream alive. United started well, hitting the bar inside a minute through Marcus Rashford, but they were soon put to the sword by Messi. 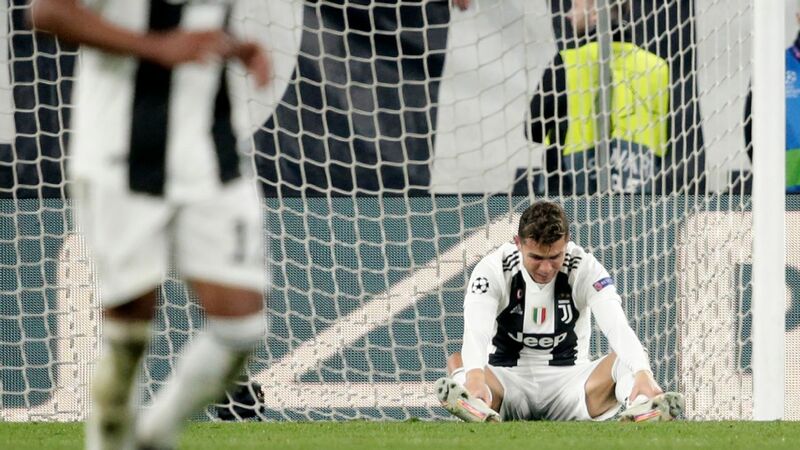 The Argentine scored a brilliant opener from the edge of the box in the 16th minute and added his second four minutes later thanks to a huge mistake by David de Gea. A fine De Gea save kept out Sergi Roberto in first-half stoppage time before former Liverpool playmaker Coutinho wrapped up the scoring after the break when he found the top corner from 25 yards. For the first time since they won the competition in 2015, Barcelona are back in the final four. 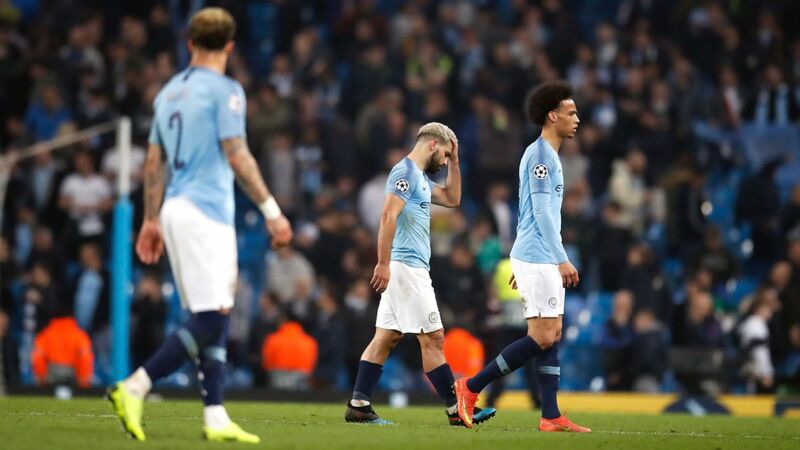 They've been knocked out in the quarterfinals in each of the past three seasons, and there was a fear that they would tumble at this stage again. With Messi on their side, though, that was not likely to happen. 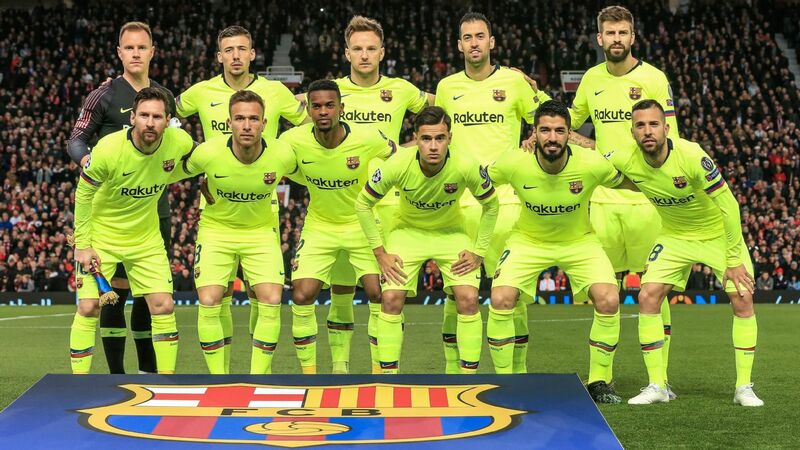 The question now is a simple one: Can Messi push them over the line in the Champions League and help Ernesto Valverde's side win a third treble in what will surely be remembered as "The Messi era?" It was also an encouraging night for Coutinho. He will hope his goal will be a turning point for his Barca career. 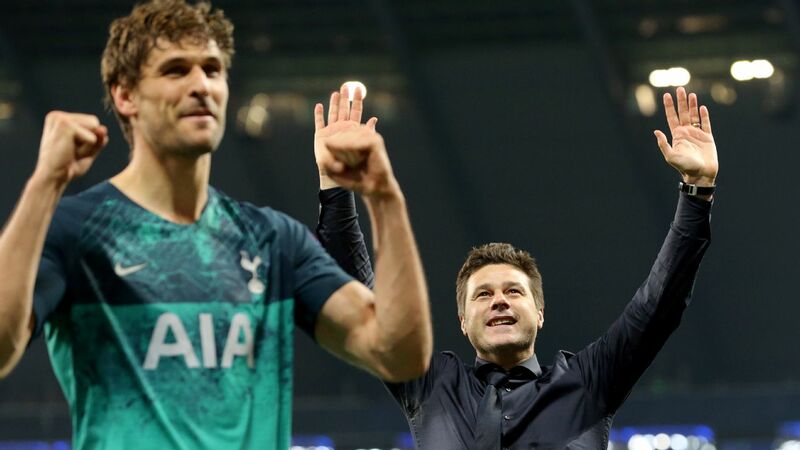 It certainly brought some frustration to the surface, as he celebrated in front of the home fans -- who have been critical this season -- by cupping his hand to his ear. 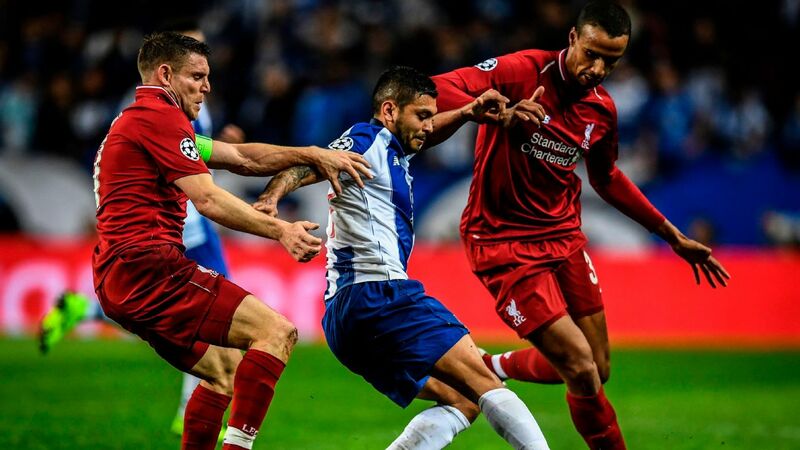 If Liverpool get over the line against Porto on Wednesday, they will take encouragement from United's quick start at Camp Nou. After 15 minutes, the scoreboard inside the ground revealed that the visitors had managed four attempts on target, and Barça had none. Rashford hit the woodwork and then forced Marc-Andre ter Stegen into a save. 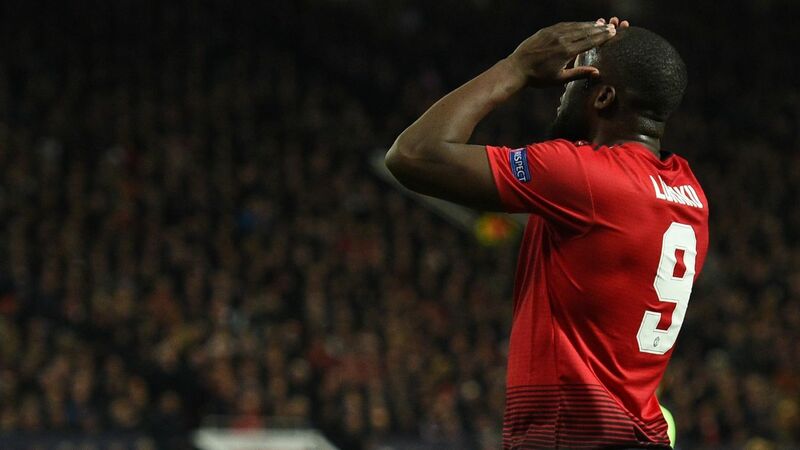 United didn't take chances, but they exploited Barca's weaknesses. 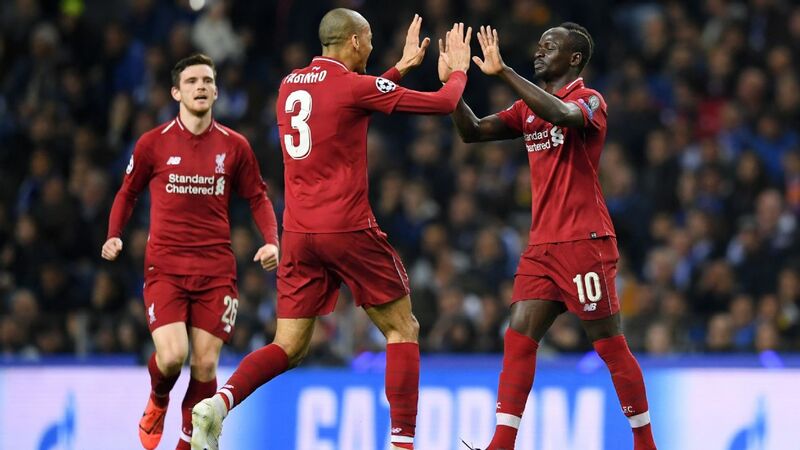 Liverpool would hope for more efficiency from Mohamed Salah, Sadio Mane and Roberto Firmino should they advance and face Barca in the semifinals. 7 -- Valverde deserves huge credit for how he managed this tie. Barca progressed without really having to step into second gear and without conceding a goal. If he leads the Catalans to a treble, maybe he will finally get some credit. GK Marc-Andre ter Stegen, 6 -- The German didn't have much to do on his 50th Champions League appearance after United's early pressure. 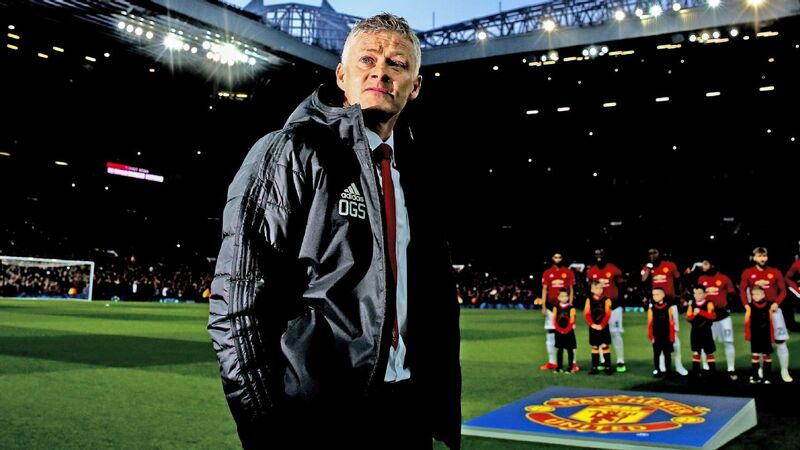 Made a couple of routine saves from speculative efforts from Rashford and Paul Pogba and a fine late parry to deny Alexis Sanchez's near-post header. DF Sergi Roberto, 6 -- Replaced Nelson Semedo in the only change to the side that won at Old Trafford last week. Should have scored but fired at De Gea from point-blank range in first-half stoppage time. DF Gerard Pique, 7 -- Looked like he could struggle against Rashford's pace early on but looked in complete control once Barca took the lead. 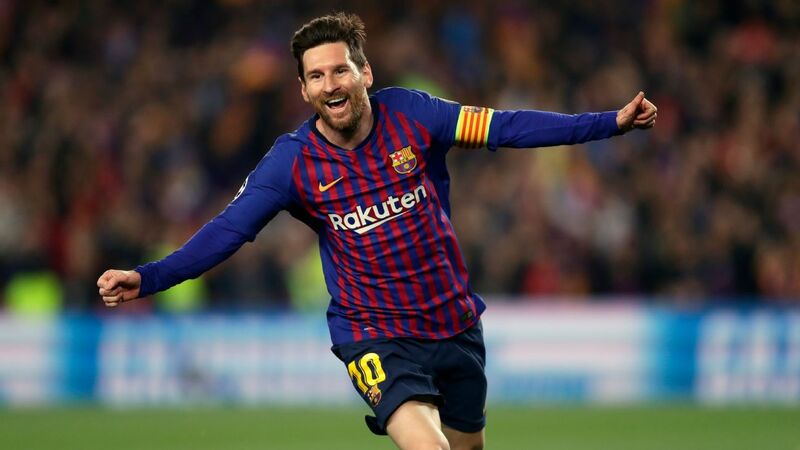 Messi's two quick goals midway through the first half helped Barcelona to an easy night and safe passage to the Champions League semifinals. DF Clement Lenglet, 7 -- Another assured performance against United, whom he knocked out last season with Sevilla. It's looking tough for Samuel Umtiti to win his place back in the side. DF Jordi Alba, 7 -- Always a threat on the left after a below-par performance in the first leg. Messi regularly found his runs to create problems for stand-in right-back Victor Lindelof. MF Sergio Busquets, 6 -- Overrun in the first 10 minutes but never really under much pressure defensively once Messi had weaved his magic. MF Ivan Rakitic, 8 -- Another brilliant performance from the underrated midfielder. 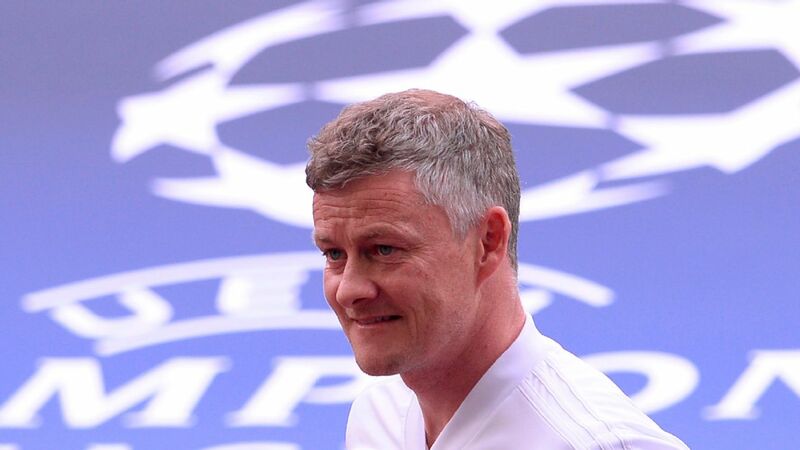 Won a penalty early on, only to have it overturned by VAR, before hunting down Ashley Young to help set up the opening goal. MF Arthur Melo, 7 -- Key in possession as Barca took the sting out of United's quick start by keeping the ball and slowing things down. More adventurous with his passes, too, than in recent weeks. FW Lionel Messi, 9 -- What more can be said? 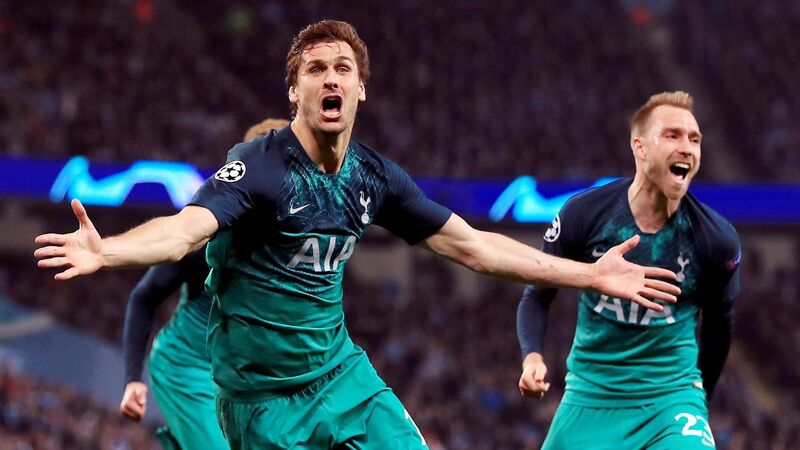 Once again, the difference on the night. He now has four goals in six against United and 45 in all competitions this season. 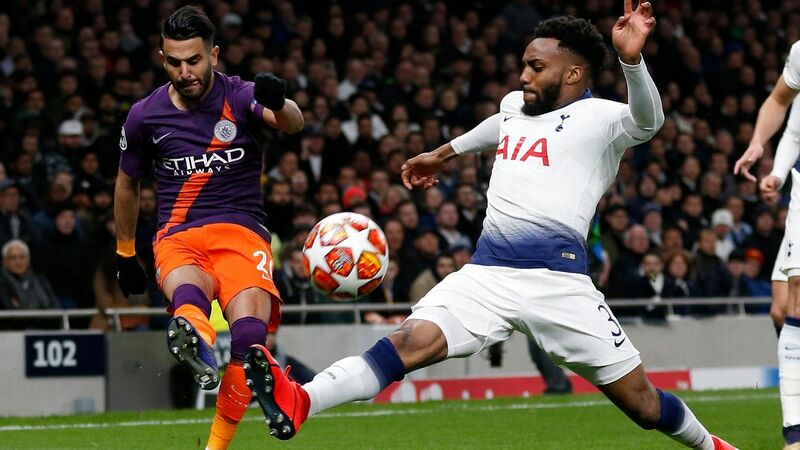 Was mesmeric on all night on the ball. Phil Jones, in particular, was twisted, turned and nutmegged into a daze. FW Luis Suarez, 6 -- Worked hard and was Barca's reference point in attack. Wasn't able to execute everything he tried, though he did almost add a late fourth with a lofted effort. FW Philippe Coutinho, 8 -- Even before his goal, there were signs that he was playing with confidence. A little flick here and an in-and-out run there had Camp Nou chanting his name in the second half. 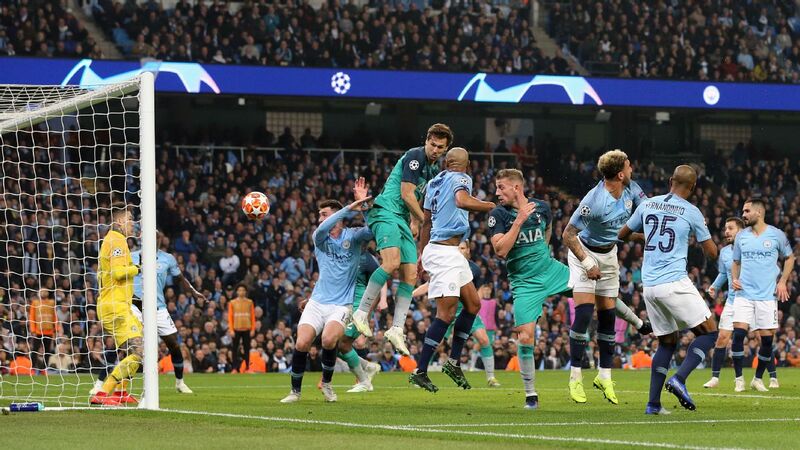 His goal was fantastic, too. DF Nelson Semedo, 6 -- Came on for Sergi Roberto for the final 20 minutes. MF Arturo Vidal, NR -- Introduced for Arthur late on to add some fresh legs in the middle as Barca saw the game out. FW Ousmane Dembele, NR -- There was a debate about whether he would start before the match. In the end, he was needed only for the final minutes as he continues his comeback from a hamstring injury.